Yahya Farooq Mohammad, 39, an Indian national who married an American citizen in 2008, faces over 27 years in prison and deportation if convicted, the Department of Justice said. Washington: An Indian man in America has pleaded guilty to supporting terrorism by providing material support to a "key leader" of al Qaeda for "violent jihad" against US soldiers and a judge, authorities said today. "The defendant conspired to provide and did provide material support to Anwar Al-Awlaki in response to his calls to support violent jihad," said Acting Assistant Attorney General Dana J Boente. Mohammad was an engineering student at Ohio State University between 2002 and 2004. He and three other defendants, his brother Ibrahim Mohammad, and two US citizens -- Asif Ahmed Salim and Sultane Room Salim -- both brothers, were indicted by a federal grand jury in September 2015. The case against the remaining three defendants, who have pleaded not guilty, is pending. As per the terms of his plea agreement, Mohammad is expected to be sentenced to over 27 years in federal prison. He will be deported upon completion of his sentence, under the terms of his plea agreement, the Department of Justice said. 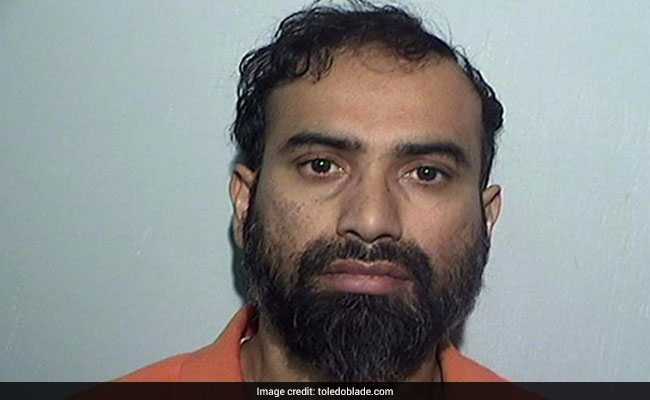 "Mohammad conspired to attack US service members abroad as well as a judge in Toledo. He threatened the hallmarks of our democracy. He is a dangerous criminal who deserves a long prison sentence," acting US Attorney David Sierleja said. "Conspiring to have a judge killed is not the way to avoid being prosecuted - now Mohammad will be held accountable for additional serious federal charges," said Special Agent in Charge Anthony. Federal prosecutors alleged that Mohammad admitted to conspiring with his co-defendants to travel to Yemen to provide thousands of dollars, equipment and other assistance to Anwar Al-Awlaki, in an effort to support violent jihad against US military personnel in Iraq, Afghanistan and throughout the world. Al-Awlaki was later designated as a global terrorist in 2010 and identified as a "key leader" of al Qaeda in the Arabian Peninsula, according to court documents. According to court papers, on July 22 in 2009, Mohammad travelled with two associates to Yemen to meet Awlaki and deliver USD 22,000 that they had raised. Although they were unable to meet Awlaki in person, Mohammad and his associates did ensure that Awlaki received the money through a courier. In addition to pleading guilty to conspiring to provide and conceal material support to terrorists, Mohammad also admitted to soliciting an undercover FBI employee (UCE), posing as a "hitman", to kidnap and murder US District Judge Jack Zouhary.